PF Chang’s Accident Lawyer in Florida If you were seriously injured at any PF Chang’s restaurant in Florida, then you should consult with a Florida PF Chang’s accident lawyer to find out about your legal rights. At the Wolfson Law Firm, our PF Chang accident attorneys in Florida offer confidential consultation at no charge. Just call us at (855) 982-2067 and let us answer your questions for free. Asian flavors of PF Chang’s menu certainly don’t remind you of broken wrists, head injuries and back pain, but there are people who went there for the flavors and ended up with injuries. Accidents are part of life. They happen often in restaurants, and PF Chang’s is not an exception. If you or your loved ones have suffered personal injury there, call our PF Chang’s accident lawyers to get legal advice on what are the first few steps that you need to take. That one call is often the difference between contested claim and recovered damages. 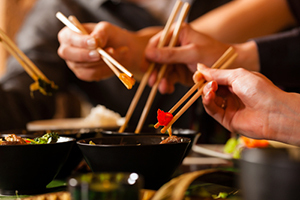 PF Chang’s operates over 200 restaurants in the United States and 100 in other parts of the world. Every single customer who enters their premises is protected under premises liability laws. When it comes to PF Chang’s in the Sunshine State, Florida liability laws obliged PF Chang’s to provide reasonable protection to all the customers who are in the restaurants. That means that the restaurant must respect certain standards when it comes to its visitors’ safety, and any breach of those standards can make them responsible for any damages occurred. When that damage happens to you, make sure you hold PF Chang’s responsible. If you don’t know how, just call our PF Chang’s accident attorneys to get an idea and possibly representation. Our consultations are free. You won’t pay a dime until we recover damages for you. Don’t hesitate to call us when you and your loved ones’ dining experience turned into a nightmare due to PF Chang’s negligence. You have the right to recover the damages that you’ve suffered. If you’ve paid expensive medical bills and lost wages due to a restaurant’s irresponsibility, you should seek justice. Call us for free consultations. Let’s talk about your accident and decide on a plan for action. Let the Florida personal injury lawyers at the Wolfson Law Firm act on your behalf. Call us now at (305) 285-1115 in Miami or at 239-777-9954 in Fort Myers or toll-free at 855-987-2067 and let’s get to work on your PF Chang’s accident case. At the Wolfson Law Firm, our personal injury lawyers have helped victims of restaurant negligence since 1963. We serve the entire state including Key West, Miami, Miami Beach, Aventura, Hollywood, Fort Lauderdale, Boca Raton, West Palm Beach, Sunrise, North Miami Beach, Palm Beach Gardens, Naples, Golden Gate, Sarasota, Lehigh Acres, Fort Myers, Cape Coral, Orlando, Bonita Springs, Winter Park, Estero, Tampa, Sanibel, Clearwater, Marco Island, Jacksonville, Lee County, Collier County, Miramar Beach and Daytona Beach.